The Walking Dead Season 2 is now at the halfway point, but does the latest episode suffer from those mid-season blues or do the exact opposite and take the story in a direction way above anything else we’ve experienced? 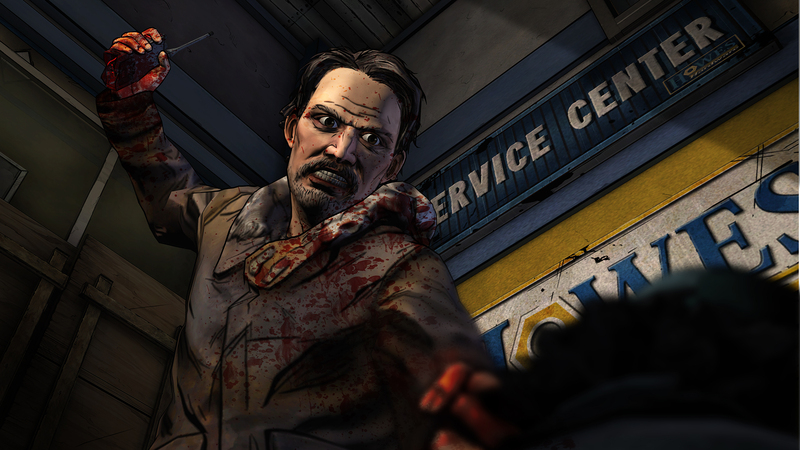 As always, before we start we strongly advise you to have played through The Walking Dead Season 2 Episodes 1 and 2. Not only will this give you the best experience possible, but without doing so, you won’t be a cool cat. Hell, it’s probably even better to have taken in the delights of Season 1 AND the ‘400 days’ add-on as events in this third Season 2 episode hang solely on what has happened way back in the past. So, with all that out of the way let’s take a look at how things are going with Episode 3: In Harm’s Way….spoiler free of course! With ‘A House Divided’ ending on such a cliffhanger, things were always going to be pretty distressing for Clementine and the gang this time round. Carver is the main focus of the episode and to hear Michael Madsen in full flow is a delight. He may be the bad guy and he may put Clementine in some tricky positions but his role in both the previous chapter and this one is sheer genius. We’ve become accustomed to seeing plenty of blood, guts and death in The Walking Dead but some of the stuff Carver dishes out comes close to crossing the line that should never be crossed. There is no place for the weak in Episode 3 and this is something that gets drummed into you at every opportunity. The vast majority, in fact nearly all, of In Harm’s Way is set in Carver’s base and with a plentiful supply of food and pretty solid defences, it’s a wonder why anyone would want to leave. But weighing up the pros and cons of staying in a safe haven with a lunatic or taking your chances out in the wild with a country full of lurkers and a group that still seems to have plenty of things to hide, is one that you’ll find yourself hesitating over time and time again. 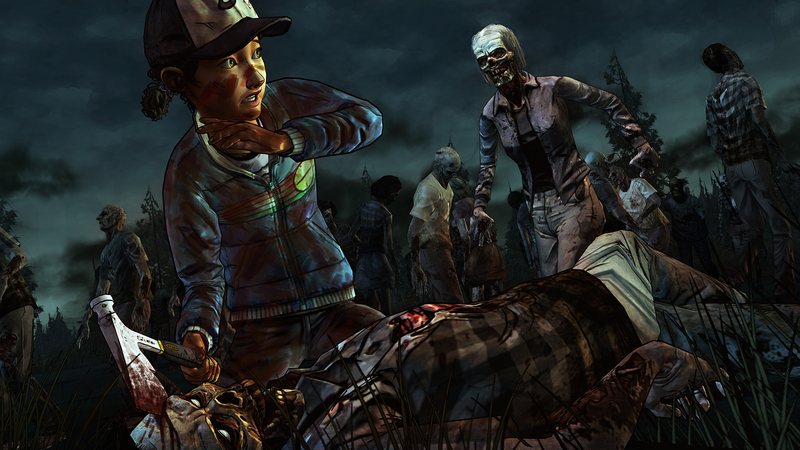 Much of your time is spent watching the story unfold and for the first 30 minutes or so, investigations and/or the need for Telltale Games’ favourite quick time events are scarce as both your group and Clementine find their feet. There’s a lovely tie-in with the ‘400 days’ expansion from Season One but it’s not an issue if you haven’t played that extra DLC component as any back story will be automatically generated. I didn’t however feel fully gripped with proceedings like I did with Episode 2, and I put this down to the lack of interaction and decision making in the first half hour of gameplay. Things do however pick up pace considerably towards the end of the 90 minutes it’ll take you to run through the chapter but overall it still feels slightly less involving than previous, with those annoyingly long loading screens breaking the flow at the most crucial of times. That said though, for the first time in a Telltale title, I didn’t experience any slowdown or lag during cutscenes or QTE’s, something that I’ve always had past issues with whether that be in The Walking Dead or indeed that other great tale teller, The Wolf Among Us. After what was arguably one of the best couple of hours of my long gaming life with Episode 2: A House Divided, In Harm’s Way is a little disappointing. It’s by no means a story filler, but the slow burning nature just doesn’t hit the highs I had previously experienced and the cliffhanging moments just aren’t there. You’ll still want/need/have to play it though! Previous articleXbox One May System Update rolling out now!